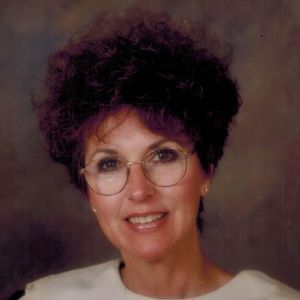 Susan Marie Frank, 71 of Tampico, died Thursday, August 9, 2018, at CGH Medical Center in Sterling. Susan was born on October 17, 1946, in Sterling, the daughter of Glen R. and Iola (Warner) Stanley. She married Gerry K. Frank on December 27, 1966, at Immanuel Ev. Lutheran Church in Rock Falls. Susan was a homemaker and loving mother who enjoyed gardening, baking and decorating. She loved to spend time with her family and loved her dog, Dusty. Survivors include her husband, Gerry; three sons, Timothy Alan Frank of Sterling, Thomas Glen Frank of Tampico and Todd Kenneth (Tina) Frank of Rock Falls; four grandchildren, Cordell James Frank, Colton Tracy Frank, Owen C. Frank and Charley Sophia Frank; and three siblings, Connie (Richard) Bull of Ramona, CA, G. Randall Stanley of Columbia City, IN and Pamela (Carl) Shank of Sterling. She was preceded in death by her parents and one brother, Stephen Stanley of Boise, ID. Cremation rites have been accorded with the McDonald Funeral Home and Crematory in Rock Falls.